Retreat. The word conjures visions of luxury and purpose. Ours was no different. Three of us headed for Shelter Cove on the lost coast of California. Christened the "Lost Coast" after a 1930s population drain, the name reflects the area’s difficult accessibility. Challenges posed by the steep coastal mountains prevented construction along this stretch of Pacific coast and forced Highway 101 to jut inland. Travelers overlook this 80 mile stretch of the most undeveloped and underexplored portion of the California coast. Its secluded splendor remains a hidden gem. Shelter Cove on the Lost Coast. Doesn’t it just scream “perfect place to hole up and write?” That’s what Linda and I thought when Heather offered her vacation home to stir our creative juices. Donna, Casey, and Lisa, the protagonists from our respective work-in-progress novels came along, tucked secure in their computer files. We knew our fictional characters would encounter compelling dilemmas as we gazed at the riled up Pacific and gave free rein to our imaginations. Heather arrived at my house at 7:00 a.m. Thursday morning. My suitcase was tiny, but the grocery bags I lined up next to it were many. Unlike the tragic Donner party, we faced no risk of starvation. We arrived at Linda’s fifteen minutes later to encounter a minor glitch in our plans. I rang the bell and readied to help her schlep her necessities to the car. I knocked with a light touch, worried that Linda’s husband was sleeping. No response. I grew more aggressive, rang the doorbell, waited. Still no answer. 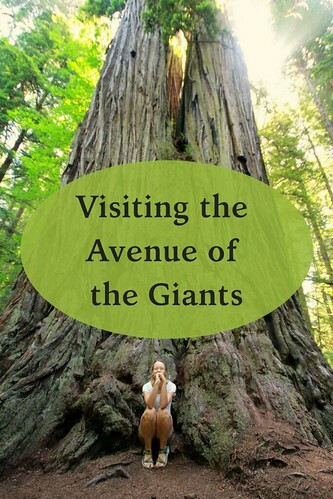 Our trip to Shelter Cove detoured through the Avenue of the Giants and Ferndale. The Avenue of the Giants, an alternate state route running parallel to Highway 101, is a thirty-two mile stretch that winds through Humboldt Redwoods State Park which contains the largest contiguous old growth redwood forest in the world. It provides opportunities for hiking, biking, and horseback riding. We stopped at a roadside market for fresh asparagus to enjoy with dinner. We followed the path of an 1880s stagecoach and wagon road through the Avenue of the Giants. We deviated from course a second time to spend the afternoon in Victorian town of Ferndale in the Eel River Valley. In exchange for our time, the town made us feel at home. We traipsed the streets, had an afternoon snack of sweet potato fries with chipotle mayonnaise at the Victorian Inn, wandered the aisles of the Mercantile Building and snapped pictures to memorialize our visit. Forbes magazine got it right. Ferndale is one of the prettiest little towns in the country. We could easily have spent another full day exploring shops. A confirmed chocoholic I needed time to savor the confections at Sweetness and Light. I needed time to shop at the Ferndale Emporium. I needed time to wander the Arts Gallery and appreciate the work of local artists. And next time I’ll pedal about town in a human-fueled surrey. It was dark by the time we took twisty, turny Briceland Road up, over, and through the mountains to arrive in Shelter Cove. Over glasses of wine we talked writing. Friday morning we each took walks to commune a la Thoreau with nature. The ocean provided a black sand backdrop to my jaunt. I was sorry I missed the Osprey that fishes in the Cove, and I would have relished watching Bald Eagles hunt. The deer that roam freely among the pines and oaks were less elusive. I stood on the bluff and looked out at the birds, seals, and sea lions that lay in the sun enjoying their piece of paradise. A trip to downtown Shelter Cove, population a bit over 500, and the Mendocino Lighthouse offered a short break from writing on the second day of our retreat. The lighthouse was built in Cape Mendocino in 1868 and relocated to Shelter Cove in 1998. It became the inspiration for a short story Linda wrote. When time came to pack up and return to our homes in the Bay Area, Mary, Elise and Casey had been plunged into a variety of scenarios. Some worked. Some fell victim to the delete key. I was grateful for the adventures, both real and fictional.